The Holy Canons of the Orthodox Church are the plumb line by which the bishops have historically responded to pastoral and theological difficulties in the Church. Beginning very early in Church history, Church leaders responded to pastoral challenges by drawing up guidelines for Church life. These canons were written during important councils of assembled bishops. Many canons cover conduct of clergy or specify areas of authority for certain episcopal sees, placing constraints on Church leadership to mitigate potential for abuse or scandal. Many canons also apply to non-clerics in the Church. Canons speak on matters as varied as sexuality and marriage, sacraments, excommunication, reception of converts, how clergy are to behave in public, and even matters of personal violence. It is helpful to think of the Canons as the “house rules.” They are the standard for daily activity, but they are not necessarily strictly applied in every instance. That should not lead us to be dismissive of them, though. Just as good parents consider how to apply their own house rules with their children, so it is the bishop’s (and by proxy, a priest’s) job to determine when and how to apply applicable canons to particular pastoral situations. Canons are not all created equal—some local canons never reached beyond a particular region, and were eventually phased out, while other canons went on to enjoy universal acceptance in the Church. Other canons were more specifically focused on the situations and cultural concerns of their time, finding application to a lesser extent in the Church today. It is not that these canons are ignored or abrogated, it is more that the very specific contexts in which they were introduced are absent, and should some similar context emerge again in the future, those canons would be relevant again. Until then, many simply don’t apply. The manner of applying the Canons is typically categorized as akravia or oikonomia in popular Orthodox teaching. Akravia refers to a strict, to-the-T application of a rule. Oikonomia literally refers to the management of a household (Greek: oikos = household; nomos = law; or “economy” in English). It is used commonly to describe adjusting canonical requirements for pastoral considerations, with an individual’s salvation in mind. One kind of judgment is called strictness (akrivia); the other kind is called economy (oikonomia) with which the economists—the Greek meaning herein is “management of the household of the Spirit” to promote the salvation of souls—at times [go] with the one, and at times with the other. The definitions and applications of oikonomia and akravia have varied through the centuries. The current usage is consistent with the harmonizing synthesis described by St. Nikodemos, and may refer to a departure from the norm for pastoral reasons for the salvation of those involved—this departure may more lenient or even more strict. St. Nikodemos is only one voice among many, but he is at least the most prominent voice when it comes to canonical commentaries in English. Access to the Canons by the laity in the age of the Internet has been a mixed blessing. 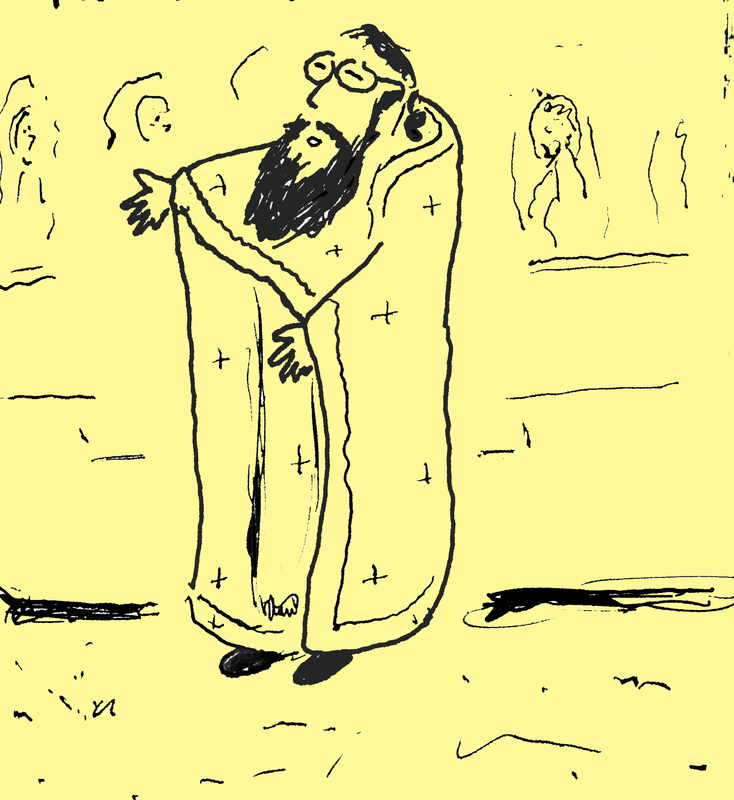 Some modern Orthodox people have been openly critical of the Canons, and have used certain canons to mock Orthodoxy; others, who are more rigorist have used strict application of the Canons to criticize clergy of the Church (ironically, forbidden by the very Holy Canons they are seeking to preserve and defend) for not strictly applying certain canons. As we move toward greater administrative unity in Europe and America (and more in line with canonical norms), it is important that our bishops and clergy familiarize themselves with the Holy Canons, and that laity support them in this endeavor as we all grow into the future of the ancient Orthodox Faith. There is always a danger of misapplying the Canons in a zeal to embrace the Canons. It may be something of a cliché to call this Pharisaical, but isn’t this what the spirit of the Pharisees was? They took legitimately enacted regulations of religious life and turned them into ends in themselves. Certainly, the Canons should not be ignored willy-nilly, but the canonical corpus itself demonstrates that canons may be altered over time for various (good) reasons that don’t have anything to do with compromise. After all, the Church was not made for the Canons, but the Canons were made for the Church. This entry was posted in A to Z, Canons and tagged canons, ecumenical councils by Jamey W. Bennett. Bookmark the permalink.